We’ve all heard about “food triggers” for migraine. Some of us know we can’t eat cheese, or chocolate, or cured salami without paying a price. Some of us avoid red wine and wheat beer. Some of us, however, have kept migraine diaries for years without ever being able to identify a single food trigger. Does our inability to identify a trigger mean we don’t have any sensitivities to food? Or does it mean that our sensitivities are either so subtle or so widespread that to identify them through a migraine diary is close to impossible? Many specialists and some migraineurs are beginning to say it’s the latter. 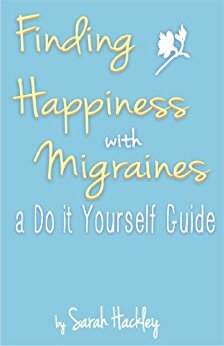 In a Huffington Post article published last year, Dr. Leo Galland wrote that food and drink triggers were the migraine triggers over which migraineurs “have the greatest control.” Not by avoiding certain chemicals in food, which Dr. Galland says has not been proven to reduce migraine frequency, but by avoiding foods that trigger our individual immune systems. But, how do we identify those foods? Dr. Galland and other experts say IgG testing may be the answer. Despite various experts’ enthusiasm about IgG testing, however, little scientific evidence existed to suggest that using the tests for migraine prevention actually made a difference in patients’ experiences. Recently, that changed. A 2010 Turkish clinical double-blind, randomised, cross-over trial was conducted on 30 participants diagnosed with migraine without aura. The trial aimed to discover “the effect of diet restriction, based on IgG antibodies against food antigens, on the course of migraine attacks.” The researchers found that eliminating specific foods with raised IgG antibodies significantly reduced the number of migraine attacks experienced by the participants over a six-week period. Unfortunately, many insurance companies won’t pay for the IgG Food Allergy Test because they claim it isn’t “medically necessary.” Without insurance coverage or reimbursement, the tests can be quite expensive. If any of you readers have taken this test, did your insurance company cover it? If not, why did you decide to shell out the bucks? And, most importantly, was it worth it? I am the other end of the spectrum from you, I have had food allergies my entire life and one of the many symptoms I get from them are migraines. I can tell you from experience that my well being is 100% connected to my gut and food allergies/intolerance’s. My insurance company has told me for years that IgG testing is a complete waste of money and that they are “protective” antibodies not “delayed response” allergies, so I only had the IgE skin tests done and they never helped! Around 3 months ago I finally decided to get the IgG test done. It came back with 23 foods (almonds, mustard, onions…) that I am allergic to. After avoiding them for 1 month I didn’t see much improvement, but then I noticed that my food diary was picking up patterns and I eliminated 2 more problem foods. Now my stomach health is the best it has ever (and i mean ever) been, and all of my symptoms have improved, including the migraines. This is a real thing and once enough support is generated the insurance companies will come around…. I hope! Thanks for sharing, Kel. Stories like yours are beginning to convince me that I should shell out for the test. Of course, I may get some information I’d rather not have: I can’t imagine not being able to eat mustard or onions! I suppose, though, that giving up some of my favorite spices and foods would be a small price to pay for a dramatic reduction in my migraine pain and frequency. Controversy remains regarding whether IgG is a valid measure for food allergies. The allergy/immunology community relies upon IgE levels for this measure, along with skin testing results. A lot has to do with the quality of testing as well. I was surprised that the Turkish study was published, as, in my opinion, it lacks the scientific rigor I would like to see in this area. Thanks for posting this. It was an interesting read. My migraine triggers usually revolve around light and smell, but food does a part when others factors are involved. If I’m dehydrated and skip breakfast, then later have soda or foods such as an Italian sub, forget about it! I’ve just unlocked the door and invited Mr. Migraine in.